Dante’s Illustrated Adventure highlights several illustrated editions of the Divine Comedy owned by the Special Collections Department of Falvey Library. 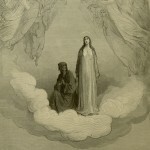 The online exhibit includes hundreds of illustrations, a video recording of Father Peter Donohue, O.S.A reading the opening canto of the Inferno, audio recordings in Italian of famous verses from the Commedia and the Vita Nuova, as well as recordings of Latin hymns from the Purgatorio and the Paradiso. Dante’s (1265 – 1321) epic journey to the other side has captured the imagination of readers for the past seven hundred years, and has inspired countless artists and painters from the Middle Ages to the present. In 1481 Lorenzo di Pierfrancesco de’ Medici (1463 – 1503) commissioned Sandro Botticelli (1444-45 – 1510), whose famous works include the Primavera and the Birth of Venus, to sketch each of the one hundred cantos. Botticelli’s large illustrations were drawn on parchment made of sheepskin, and today only 92 of the original sketches have been found. Centuries later an English sculptor created over one hundred illustrations of the epic poem. John Flaxman’s (1775 – 1826) line drawings are known for their classic style and remained hidden from the public for decades in an English aristocrat’s private library. 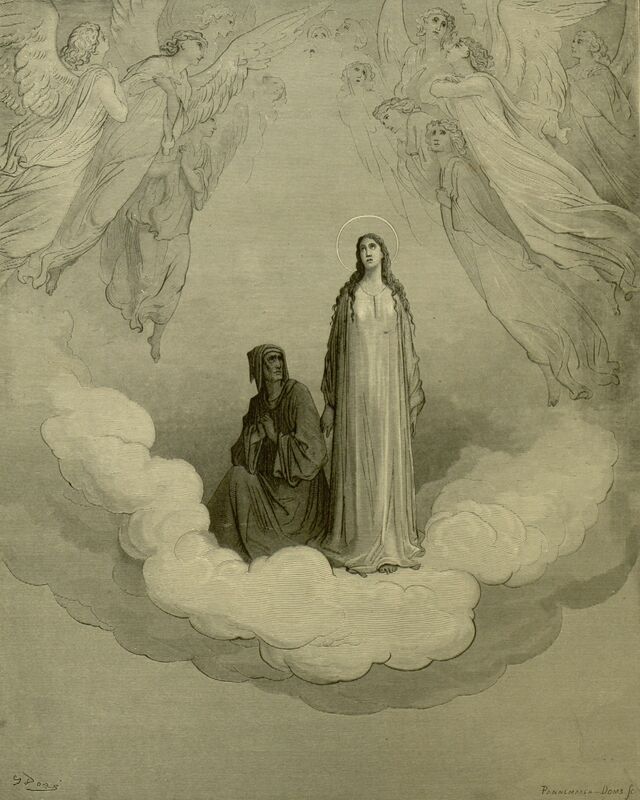 In 1861 the French artist Gustave Doré (1832 – 1883) sketched perhaps the most well known illustrations of Dante’s work. Unlike Botticelli and Flaxman, no one commissioned Gustave Doré to illustrate the Inferno. Instead, the project was entirely his own idea, and he spent his own money to fund most of it. Dante’s Illustrated Adventure explores the Poet’s pilgrimage through the Otherworld as it is told through the drawings and illustrations of Sandro Botticelli, John Flaxman, and Gustave Doré. The exhibit provides visitors with a brief biographical account of the Poet and then guides them through the major themes of the Divine Comedy. On this site visitors can travel alongside Dante through hell, as he meets sinners, gruesome monsters, and Satan himself.